Dedicated employees have the same desire we all do: to know we are valued, respected and appreciated at work. 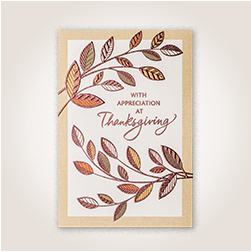 With a little help from Hallmark, you can use the Thanksgiving holiday as a reason to connect on a new level with employees. Through small, meaningful actions like this, you can create the connection vital to retaining top talent in every part of your company. 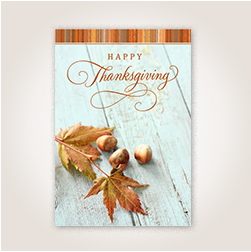 This Thanksgiving, we make it easy to reach out to your employees in a genuine way. To help you determine what to write in a Thanksgiving card to an employee, we gathered a list of our top 10 Thanksgiving message ideas. These one- and two-liners will help you efficiently and thoughtfully express gratitude for your employees. After all, they are the ones who make your success a possibility. Keep it sincere with these ideas. 1. 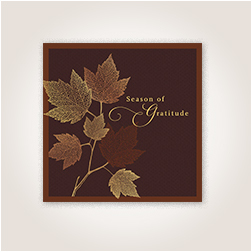 In a season of gratitude, we are especially thankful for you and all you do for our business. Happy Thanksgiving! 2. You help our company succeed and we couldn’t be more thankful for you. Happy Thanksgiving! 3. Although we feel it all year, now is a great time to tell you we appreciate all you do. Happy Thanksgiving! 4. Happy Thanksgiving to someone we’re proud to have representing our team. 5. Thank you for your hard work and dedication. 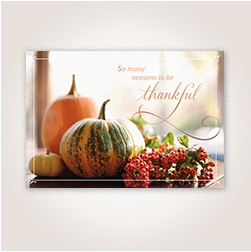 We are grateful for you at Thanksgiving and all year long! 6. Enjoy this time with your family and friends, and know we’re grateful to have you on our team. 7. 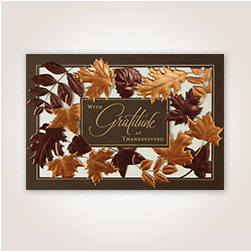 Your commitment is noticed all year round, but today we’re saying thanks out loud. Happy Thanksgiving to a wonderful employee! 8. Thank you for all you do for us. We hope you enjoy this time of year with those you love. Happy Thanksgiving! 9. 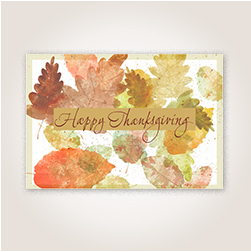 With sincere appreciation for all your hard work and best wishes for a happy Thanksgiving. 10. 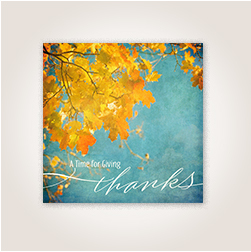 Thanksgiving is the perfect time to say how much we appreciate your contributions throughout the year. 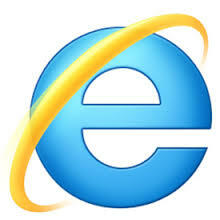 Thank you for the dedication and innovation you bring to our business every day. 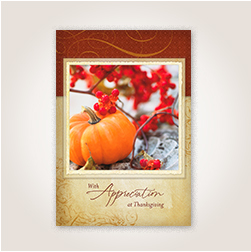 At Hallmark Business Connections, we know what it means to create real relationships with your employees We’ve made it easy with everyday and holiday cards perfect for any occasion—even Thanksgiving. 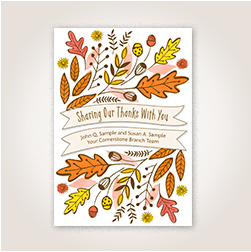 Shop all of our Thanksgiving cards for business here, and don’t forget to stock up for the holidays, too!